As of last Friday’s weigh-in, I am down 63 pounds. 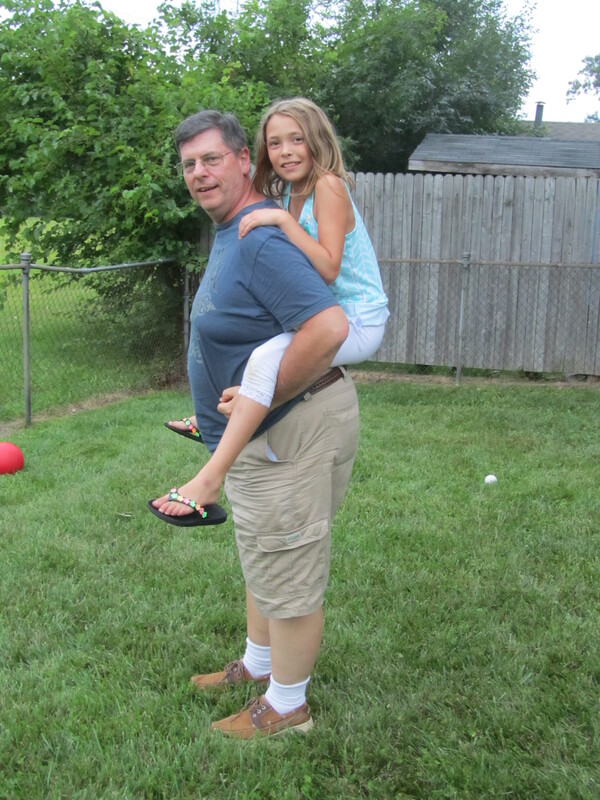 This is a picture of me with my friend’s daughter, Tori getting a piggy back ride. She weighs 63 pounds. Back in February, I was carrying the equivalent of her around with me 24 hours a day. What an awesome comparison tool, Bobby!!! Can you believe you used to put your body through that 24/7? I recently took a liter of water on a 5-mile walk and was more worn out from carrying the bottle than the walk itself. Turns out, that bottle of water itself weighed over 2 pounds… made me reflect on what it was like for my body to carry around the excess weigh. This is a great comparison! What an achievement and what a great way to have perspective. Congrats!